Here it is, everything goes. 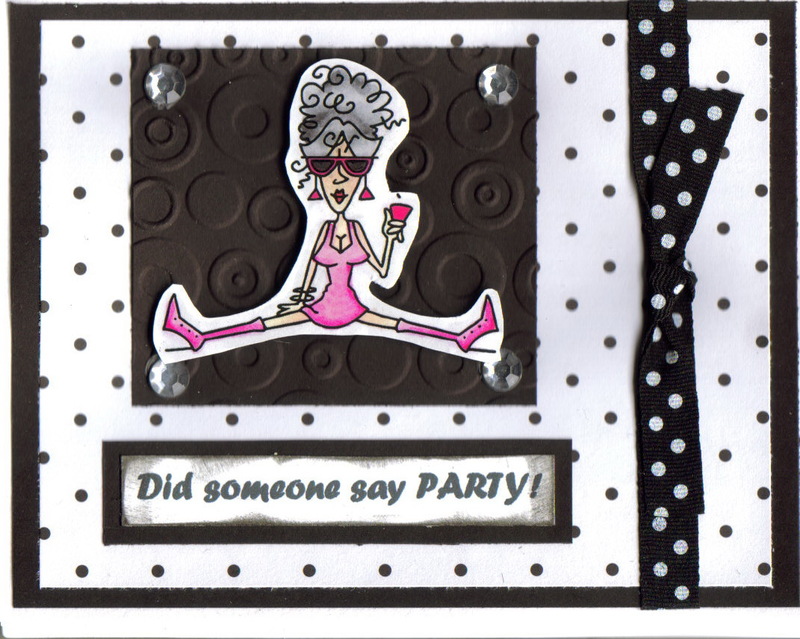 I thought it was fitting to use this sentiment as it has been one heck of a party at bugaboo's stamps.. I think is my favorite card you have posted so far. 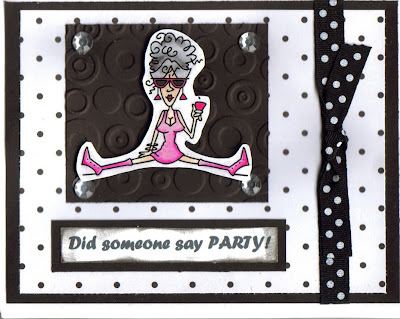 *LOL* That image is cracking me up :) I love the black and white and polka dots everywhere, and how the image is the only splash of a more vibrant color - it really makes the card interesting, and draws my eye to the main image first before it wanders around to see all the other fun details. I really love it!